We’re big fans of outsourcing here at Pro WP Blogger. Head over to our quick guide to finding out why we think it is so important for businesses of all sizes. But, outsourcing doesn’t come without its problems. One of the most important areas to look at is your SEO. Outsourcing to an SEO firm is popular with a lot of companies, but it has to be said, it’s a bit of a gamble. Get it right, and it’s a goldmine for more traffic and conversions. But, if you get it wrong, it can be disastrous for your online business. So, to help you on your way, we have put together some of the vital questions you should ask before outsourcing SEO. This is such a vital question, and it’s a surprise that not many companies will ask a prospective agency. Many businesses get sucked in with SEO firms that guarantee Number One positions in Google – don’t make the same mistake. Often, it’s a sure sign that they are using nefarious tactics to achieve their goals. You might see instant results, but eventually, things will go sour. Instead, listen out for definable terms such as online sales, leads, and numbers of phone calls generated. These are all measurable factors that make for a better business. And, they are far more important than ranking at the top of the search engines for a couple of weeks. How do you integrate with wider marketing strategies? SEO is not a fix-all solution to your marketing problems, and should only be used as a part of a wider strategy. You need to see consultant answers that address this core idea, and consultant questions that ask about the big picture. SEO should be part of the mix, along with conversion rate optimization, public relations, and much, much more. If you are offered a standalone solution, you will likely be wasting your money. What are your ongoing services? The thing that many businesses don’t understand about SEO is that it is an ongoing process. And, there are plenty of companies out there that know this – and they will take advantage. They will spend a lot of time setting everything up for you, before doing very little at all for the following months. You will find yourself being charged thousands every month for their service! Make sure that you know what they will be doing further on down the line, and keep tabs on their workload. A trustworthy SEO company will always itemize their bills for work – and it’s a sign something is up if they don’t. What is your link building process? Finally, a quick look at link building. 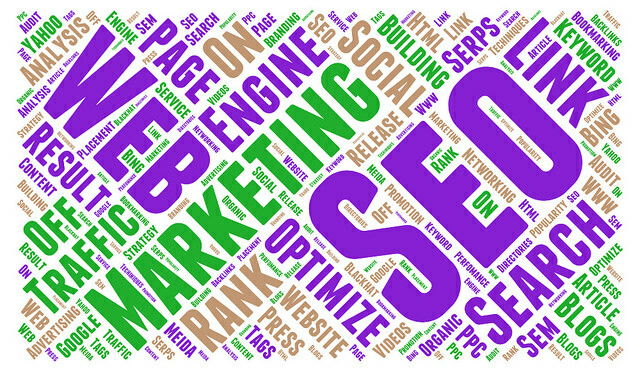 Getting links from other websites is an important part of ranking well in the search engines. But, those links have to be from quality websites and directories. Google and Bing take a lot of notice of where your links come from. If bad sites are linking to you, or those links are highly suspicious, your rankings will take a hit. It can happen overnight, too – so make sure that your SEO company has legitimate plans for creating a good link structure. Content marketing is an inseparable thing from content creation. Once you have learned ways to create quality content, it’s high time to jump towards promoting your own content.